Christmas is coming so bring on the festive cheer with some of our seasonal bakes. 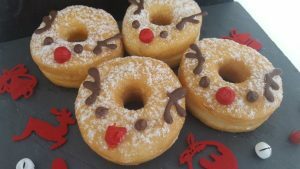 How about some Rudolf Ring Doughnuts (packs of 4) or Festive Cupcakes in Snowflake or Xmas Tree design (packs of 6)? We’re sure your customers won’t be able to resist.